Our March newsletter round-up includes updates on our licensing options, an introduction to our new Managing Director, and a call for interest and views on a Star for Neurodevelopment as well as updates on our new resources and reports. A guide to How to use the Star in creating impact reports: using the Star data. Contact Triangle at info@triangleconsulting.co.uk or +44(0) 20 7272 8765 for more information on our Outcomes Stars or to find out more about how the Star can empower service users and keyworkers to make and measure positive change. Sign up for our newsletter here. Triangle, the social enterprise behind the Outcomes Stars, has grown rapidly in the last few years, as more and more frontline services aim to support and measure change by implementing the Outcomes Star. To help lead Triangle into our next exciting chapter, we have appointed Graham Randles in the new role of Managing Director. Graham joins us from the New Economics Foundation (NEF). 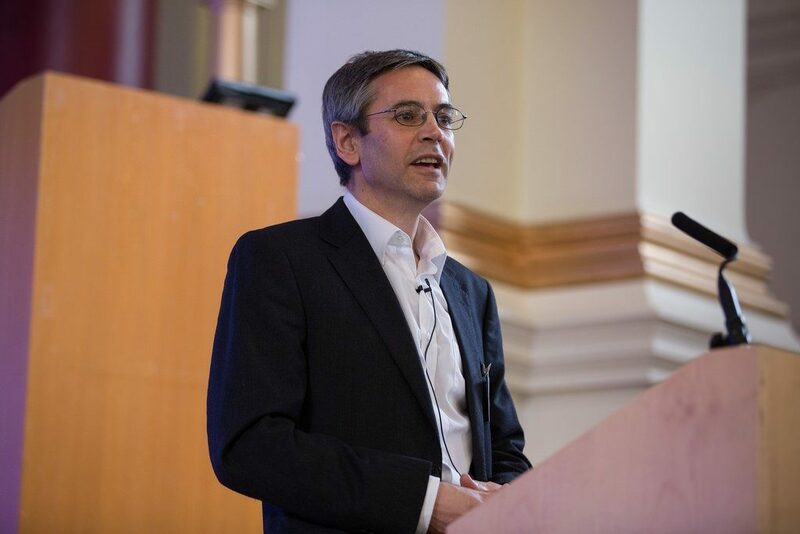 As Managing Director of NEF Consulting, Graham worked with organisations to prove and improve their impact by understanding and measuring outcomes, leading a team delivering consultancy, training and capacity building. Graham brings to Triangle his significant experience in the fields of health and wellbeing, social care and environmental sustainability, such as his role in developing the first total contribution report for the Crown Estate and creating the 40-year impact report for the Prince’s Trust. Throughout Graham’s varied career in the UK and internationally, he has focused on challenging the status-quo to unlock ideas and new ways of working. Recently Graham has worked on projects to assess the implementation of the Public Services (Social Value) Act across the health and care sector for NHS England and to measure the value for money of FareShare, the UK’s largest charity fighting hunger and food waste. Graham will work alongside Joy MacKeith and Sara Burns, co-founder Directors of Triangle and creators at the Outcomes Star, to lead our social enterprise – supporting our teams to support our licensed Star users, and building the presence of Triangle in the wider world. Graham is an accomplished international public speaker with a focus on measuring impact, having recently spoken at the World Health Forum in Gastein and delivered workshops for Public Health Wales and the UK’s Care Quality Commission. Graham has a BSc in business Administration and an MSc in Responsibility and Business Practice, both from the University of Bath, and he is also a trustee for the sight loss charity Sutton Vision. If you have any questions about our new role, any queries about Triangle or the Outcomes Star or would just like to say hello, please contact us on info@triangleconsulting.co.uk or +44(0)207 272 8765.